Last week, Etsy announced a new way to shop for Fashion, Home & Garden, and Kids items. The new pages are almost entirely curated content, though sellers can sneak into the museum with a little ingenuity. Etsy didn’t name the feature; I’ve taken to calling it Etsy Discover since the new links appear under that heading. The Discover pages are a stylishly presented collection of quality items to whet shoppers’ appetites, along with links to treasuries, predefined searches and categories to send them deeper down the rabbit hole. The word curated may be a misnomer for the content of these pages, for it brings to mind a process of human selection. I have reason to believe that Etsy is flexing its new search power – not only on these pages, but on Search Guides that have been popping up for select individuals on the site. Etsy’s Frank Harris alluded to this in my Search Ads interview, when he mentioned that keyword pricing is based on a variety of historical search data. Etsy’s keyword pricing page shows that they’re tracking not only the popularity of searches, but the quality and activity regarding search results. If that’s a little vague, consider this example: I search for “fall fashion” on Etsy and browse through three pages of results, see a scarf that I like and buy it. Etsy now has more information about that item in relation to my search; they can guess that it was probably a good match for “fall fashion” since I picked it from a sea of options. Consider that behind the scenes, Etsy gave that item a boost for the search term “fall fashion” after I made my purchase. Maybe they also gave the shop that sold the item a small boost for the same search term. Suppose they do this boosting over hundreds of searches for “fall fashion”, gather up the highest scoring items and shops, and have an employee put a tiny bit of spit-polish on the results. Discover Fashion (Fall Edition) is born. I strongly suspect that this is what’s happening behind the scenes. Etsy Discover is small enough that it could be curated by hand – but the Search Guides reveal a deeper level of wizardry. 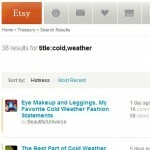 Etsy admins like to use the word algorithm when referring to the new search features. Algorithms are just a series of steps to solve a problem – I can give you an algorithm to make a sandwich – but the word is used so commonly in mathematics and computer systems that it’s taken on another meaning. Algorithm has come to mean something more like automated smarts. Etsy’s goal with the Discover pages is likely to present a more coherent experience for buyers; to guide them gently into the site instead of throwing them into the miasma straight off the bat. Etsy is home to so many creative and talented artists that it’s a difficult task to get attention to every shop in a way that’s still a good experience for shoppers. The best way to get on the Discover pages it to have an excellent product with great photos that happens to match whatever is coming up next on the page. The last part is obviously a little difficult unless Etsy starts announcing the keywords for Discover pages ahead of time – although Etsy’s Merchandising Desk is a good place to start making educated guesses. Etsy has already confessed that the Merchandising Team will add items to these pages. 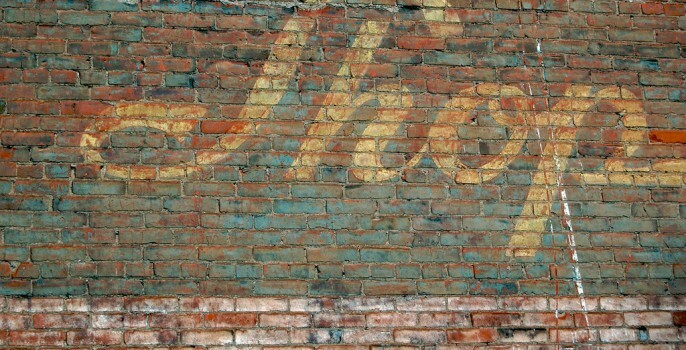 The next best strategy for sellers is to jump on the bandwagon after the fact. The Discover pages have links that plunge into Etsy proper – the blue text on each Discover page is the good stuff. Click on the links and see where they take you; in the example to the right, the Discover Fashion page linked to a search for treasuries with “cold” and “weather” in the title. 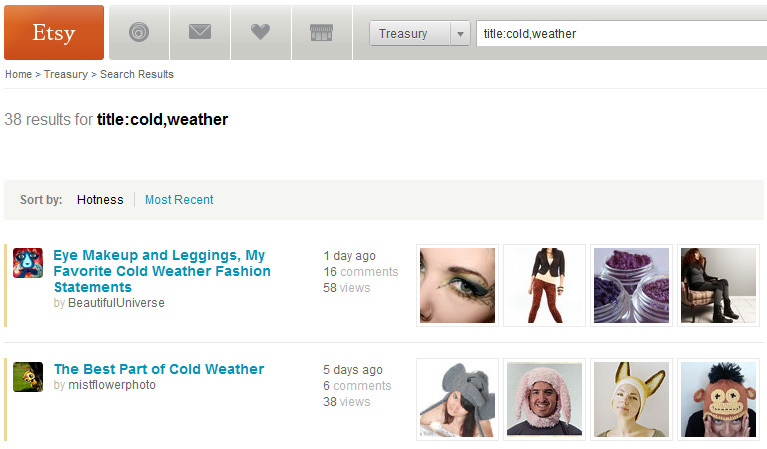 Suddenly I’m very inspired to create a treasury with “cold” and “weather” in the title, aren’t you? Links that send you to item searches are an even better opportunity. Take a look at the search terms Etsy has defined from the Discover pages – pay careful attention for a minus sign in front of words, that means not this word. A search for “fall fashion -scarf” will pull up fall fashion clothing that does not have the term scarf in tags and titles. Tweak the titles and tags of your relevant items to add these special search terms and you’ll be thrown into the fray for the Discover links. Seller reaction to the Discover pages has been a mix of euphoria from those who are included to vitriol from those who don’t fit into the Discover categories. Cries of admin favoritism erupted nearly immediately, along with comparisons to the curated Etsy Gift Guides of a bygone era. Favoritism is a myth that Etsy is eager to dispel and avoid – admins try desperately to squeeze examples from those complaining so that they can report them to the team behind the automated smarts. If you notice the same shop being shown multiple times, a lack of diversity in items or other red flags, report them in Etsy Discover forum thread. I believe Discover is a much different animal than the Gift Guides, which were a failed experiment to many who lived through them. Etsy is taking a smarter approach of gathering data from buyers, rather than attempting to choose the cream of the crop with their own staff. Shoppers will tell you what items are relevant and compelling if you just know how to listen. Distilling which items are high-quality from shopper behavior will raise the bar and leave shops with less-compelling items scrambling to catch up. I’m anxious to see more Discover categories, and how Discover and Categories themselves can complement each other. Cover image by Jeremy Schultz on Flickr.